I needed to work the design into a shaft and determine how to make it strong enough to support weight. This design is typical of a classic Notre Dame cathedral gargoyle. I have arched the overall shape a bit in order to have it fit the hand better, and I omitted the drainage channel that normally would run the length of the carving. I use mahogany for the handle. Mahogany is strong, but not too hard to carve. 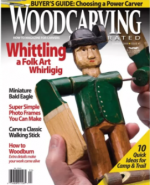 Avoid using a softer wood such as basswood for this project, as it may easily snap when in use. 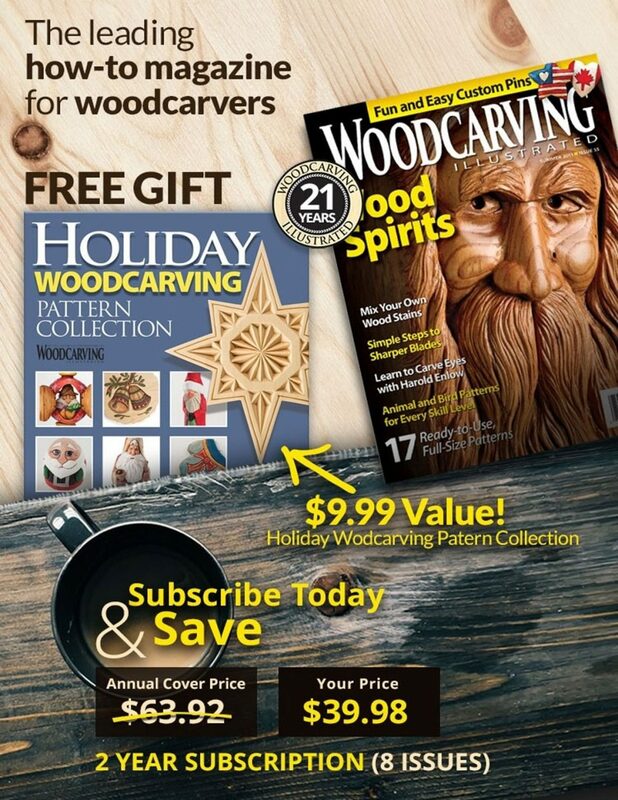 Even better would be a much harder wood, such as cherry or maple, but they can be quite difficult to carve. The shaft is swamp maple. I chose swamp maple because I like the bark. 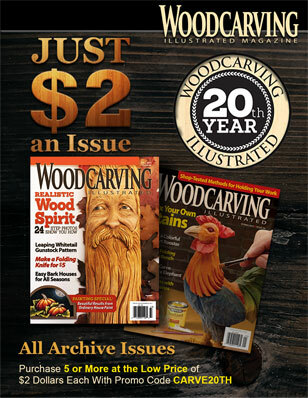 You can choose just about any wood you like for the shaft, but be sure it is strong and resistant to dents. It is important that the total diameter where the shaft joins the handle is no more than 1 ½” (38mm), otherwise you will not be able to taper the sleeve to a seamless fit–1 ¼” (32mm) would be preferable. Cut the shaft’s overall length longer than you think you will need–you will be able to cut it down when the project is all together later. For more information on carving gargoyles, purchase Shawn Cipa’s book Carving Gargoyles, Grotesques, and Other Creatures of Myth. 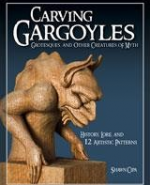 If you’ve ever wanted to carve a gargoyle, grotesque, chimera, or guardian, or just understand their differences, this unique book will guide you from start to finish. It is available from www.foxhchapelpublishing.com for $19.95 plus S&H. 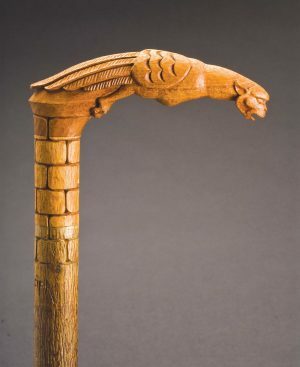 View step-by-step instructions for the gargoyle cane in Woodcarving Illustrated Summer 2009 (Issue 47).